What are the benefits of a memory foam mattress topper? Other than their price, their flexibility, their portability, oooh, so many, sooo many. Below, we list the pluses of buying a memory foam mattress topper, with some handy tips and advice for which type/size/thickness you should look for. We reckon that by the time you finish this article, you won't be wondering why you need a memory foam mattress topper, you'll be wondering where you can get one. Unless, of course, you're already happy with your mattress. Well, are you? Whether you've inherited a hard mattress (you're renting, at uni or have moved in with a partner), your sleeping habits have changed (post pregnancy, some women find a once comfortable hard mattress completely unforgiving, forever), you've stiffened up with age, or you've just bought the wrong mattress first time round (bear in mind, though, that you generally have 100 days to return many mattresses), a memory foam mattress topper can be instantly, softeningly transformative. Already convinced that a memory foam mattress topper is for you? Find the best toppers at the best prices. Memory foam is designed to accept your body's contours, which means any pressure points (shoulders and hips being the main offenders) will suddenly be relieved. The result? No pain while sleeping, and you shouldn't wake up feeling achy. So, whether you just suffer from a bit of back pain or have a condition such as arthritis, you'll feel better, fast. There are plenty of mattresses designed specifically to offer targeted spinal support; we've found the best around. So you really want to swap out that hard mattress you no longer find comfortable for a memory foam mattress but just can't afford it? 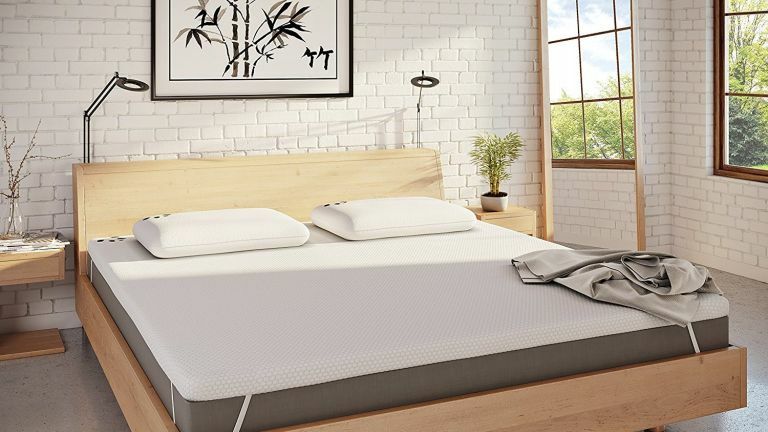 A memory foam topper doesn't exactly mimic a memory foam mattress, but it's not a million miles away, it can transform your current mattress, and give you a taste for memory foam – all at a fraction of the price. Got a partner who tosses and turns all night long? It's not a problem if your mattress has minimal motion transfer, BUT if you find yourself being bounced around, too, a memory foam topper can be a fast fix because it minimises all that. Are you an allergy sufferer? You might find your dust mite allergy improves with a memory foam topper, since the dense mattress materials are less welcoming to dust mites than traditional mattress fillings. Memory foam limits mould and pet dander, too, handy if your bedroom suffers from condensation and/or the dog/cat sleeps on the bed. Find out how to get rid of dust mites with our expert cleaning guide. From budget to top-quality, mattresses which ensure you won't over-heat and ones that are ideal for allergy sufferers. A high quality memory foam topper will last you a long time – up to 10 years in some cases – longer in the case of toppers on beds in spare rooms. Singles, doubles, king-size – you name it, there's a memory foam topper out there to fit your bed's size. But what if you sleep on an adjustable bed? Memory foam toppers can bend and flex to suit an adjustable bed, without sagging or sliding – and you'll still remain supported. Sweaty sleeper? The latest generation of memory foam mattresses are designed to be breathable, which means no more hot sweats – time of year or time of life-related. Unlike some topper types, memory foam doesn't need fluffing or flipping – although it doesn't hurt to rotate it every now and then. As for upkeep, an occasional vacuuming won't hurt. Find out more about cleaning mattresses in our guide. Are you a side sleeper but your partner likes to sleep on their back? The upside of memory foam is that it can accommodate any sleeping position because it is designed to cradle every part of your body evenly. For back sleepers, it will mould to the curves of your spine, providing relaxed lumbar support; for side sleepers, it accommodates those pressure points mentioned above; and for stomach sleepers, it helps to keep your back aligned. If this is your preferred sleeping position, don't miss our pick of the best toppers specifically designed for side sleepers.